Both Angela Merkel and Emmanuel Macron mentioned the idea of creating a real European army. This unprecedented convergence of French and German thoughts and words, which incurred the wrath of America, marks a turning point. EURACTIV France reports. The idea of establishing a European army is coming back. 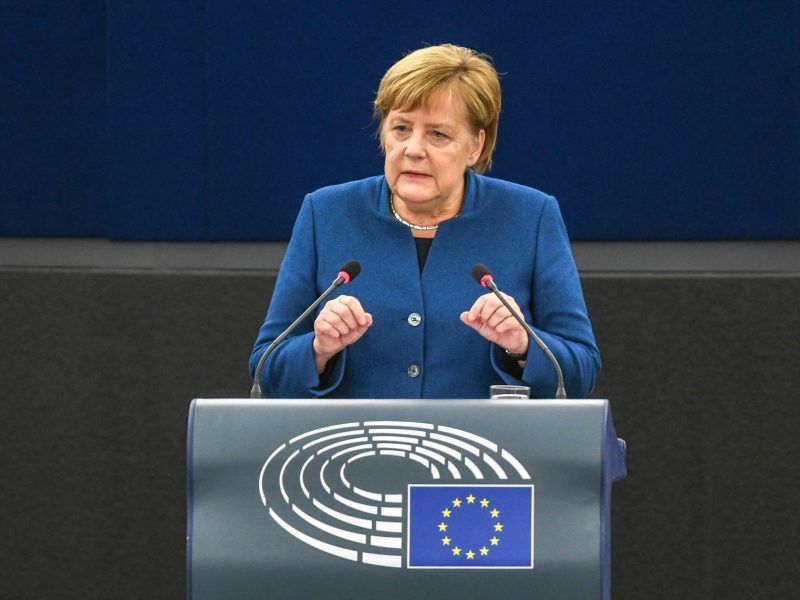 Before the European Parliament in Strasbourg, German Chancellor Merkel called for a vision of a European army to be developed, in the same place where French President Emmanuel Macron had spoken of the need to establish a “real European army” a few days earlier. This represents quite a rare convergence in French and German thinking. What should be made of this? The idea of creating a European army is not a new one. It has been mentioned by various European leaders, who often had Christian Democrat backgrounds. But it has not been consistently raised. When it has been, the idea has sometimes been accompanied by very diverse views on the future of European integration. The idea of a European army was briefly mentioned by Silvio Berlusconi when he was the Italian prime minister. More recently, Commission President Jean-Claude Juncker (European People’s Party) mentioned it at the start of his mandate. He was joined by other leaders from eastern Europe, such as the conservative Czech President Miloš Zeman, former Czech social democrat Prime Minister Bohuslav Sobotka and even the Hungarian Prime Minister Viktor Orbán. This project was also incorporated into the programme of the European People’s Party, which was set out in Madrid three years ago. However, no serving French official has ever raised this idea, in such precise terms, since the plan for a European Defence Community (EDC) was postponed in extremis by the French. But it is no longer a taboo subject. Certain diplomats were anxious to water down the French president’s comments as not meaning “an army” but instead the European Intervention Initiative (EI2) or other projects. This takes little account of the special role of the French president, who is also the army’s commander-in-chief. When he mentions “a real European army,” he does so in this capacity. Therefore, he is not raising the idea of a simple cooperation project. Other observers may consider that, with these comments, Macron above all wants to stick in people’s minds, to not leave the monopoly on the initiative to Berlin and to restore his image in a difficult atmosphere before the European elections. Merkel’s remarks are more conventional. They were included in the coalition agreement concluded between the CDU and the SPD in early 2018 and have already been cited by several national officials. Quite recently, they were included in a column published in Handelsblatt by the German philosopher Jürgen Habermas, the former German social democrat justice minister and CDU member Friedrich Merz, who is currently being considered as a possible successor to Merkel. The Chancellor, who remains faithful to her course, has also provided several further details which the French president has not cared to give. 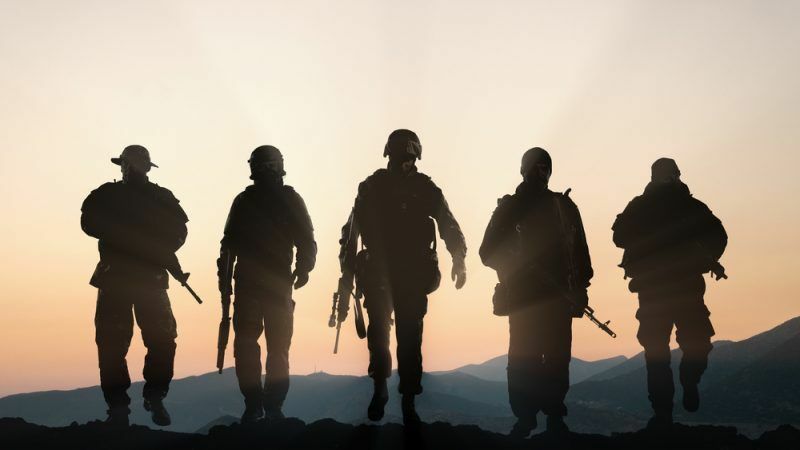 If we are to believe that all of the national armies will be merged into a single one at the level of NATO or the European Union, this project is definitely a utopian one which could only take place in case of a cataclysmic event. Even in the midst of a disaster on 16 June 1940, during World War Two, France rejected a plan to have a common army. This was proposed by the British House of Commons at the instigation of Jean Monnet and Winston Churchill. 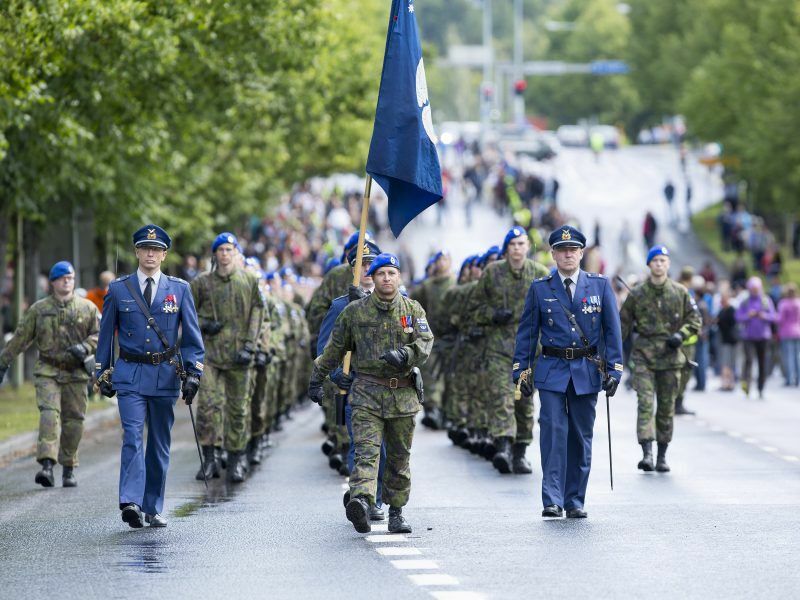 The new project would consist of performing certain pragmatic tasks, establishing a force to complement national armies for the purpose of defending the European territory and providing aid to European citizens. Although the idea is a complex one that would be difficult to implement, it could form an ambitious project for the future for Europe, of which it is so lacking. However, this project appears difficult to implement in the European Union’s current framework. Admittedly, the treaty provides for the gradual definition of a common defence policy but unanimity is still required. If the project is to have any prospect of succeeding, it should not bring together more than five or six countries, including France and Germany, at the very least, at the outset. Beyond this, the operational command will be a complex issue. Finally, establishing a new sovereignty structure, as is provided by some public power prerogatives, requires a more integrated organisation than the current European Union. The European Defence Community project (EDC) failed more than 60 years ago. At that time, decolonisation was not yet complete, Germany was still divided into several very real occupation zones and Saarland had a special status. The Berlin wall had not yet been erected and the German army had not been authorised to reconstitute itself. On the other hand, the EDC was a project to establish a true European army. The EDC’s main objective was to enable Germany’s rearmament, with these units being placed under American, and not European command. Therefore, it was both a different world and a project different to that of a genuinely European army. Bringing up the failure of the EDC every time as a way of not discussing a new project is reciting the same argument over again – and demonstrates a certain defeatism.